Your daughter spends a big part of her day in school where she needs support and guidance to deal with intermittent pain, fatigue, school absences, and other issues associated with endometriosis. As a parent you can be a strong advocate for your daughter. Adolescence is a challenging time for teens and for their parents. Both teens and their parents have described “feeling like they are on an emotional roller coaster”. Combine adolescence with a chronic illness and the results can seem overwhelming. For parents it is especially hard to watch a daughter experience emotional and physical discomfort due to a medical problem. You probably want to do whatever it takes to fix the situation quickly; however, this is not always possible. How can I help my daughter deal with her endometriosis? From the beginning, you should encourage your daughter to take part in her treatment plan so she can learn to manage her health care needs, such as communicating with her health care providers (HCP’s) and keeping track of her pain and periods. She can also be involved with making medical appointments and getting prescriptions filled. By learning to advocate for herself as well as how to effectively interact with her HCP’s, your daughter will be better equipped to transition into adulthood. Your daughter’s health care team can help her work towards this goal. If available, a social worker or counselor specially trained to help girls cope with chronic illnesses can be of great support. It can be useful to think about school challenges as either short term or long term dilemmas. Short term problems might include factors that interrupt her school day such as doctor appointments, episodes of acute pain, and occasional school absences due to pelvic pain. Long term issues include extended school absences due to chronic and severe pain, chronic fatigue, surgery, and recovery. These issues, and possible solutions, can be addressed well in advance with your daughter’s school. Is there a way to predict when my daughter will have acute pain? There may or may not be a pattern to your daughter’s pelvic pain and there often is no predictability to when it will come or when it will cease. In fact, a young woman could be fine and suddenly have an acute bout of pelvic pain. This may inhibit your daughter’s ability to participate in sports or other activities, or her perception that she can participate. Acute pain is also likely to affect her academic performance. Evaluation of sudden or acute pelvic pain often requires a medical consultation and diagnostic tests to rule out other possible reasons for her pain (such as appendicitis or pelvic inflammatory disease), even if she has an active diagnosis of endometriosis. How can I advocate for my daughter at school? The most important thing you can do to advocate for your daughter, (along with her help) is to develop an “endometriosis education plan” for her teachers, school nurse, coaches, and other important adults in her school. The more accurate information her school faculty has, the more they will comprehend the diagnosis of endometriosis and how it affects her specifically. Any student with endometriosis should be evaluated on an individual basis so that specific needs can be addressed. As a parent you can encourage your daughter to take an active role in her education. When your daughter has a chronic illness this includes considering both academic AND medical issues that impact her school experience. Some families find it helpful to follow a yearly timeline based on the typical school calendar. If your daughter is diagnosed during the school year, you and she can adjust these meetings accordingly. Before school begins, schedule a meeting with school staff: Many parents contact their daughter’s school and make an appointment to meet with their daughter’s guidance counselor and school nurse prior to the beginning of the school year. If you are unable to make an appointment before school begins, try to schedule the meeting within a couple of weeks after school starts. Some parents and daughters decide that it’s better to wait until after school starts so the faculty has the benefit of meeting your daughter first to help them identify her needs and/or challenges. Your daughter should be given the opportunity to participate in all of these meetings (phone calls, e–mails) so that she can express any concerns she may have. It is essential for her to feel a part of the discussion, which is, after all, about her body. Sometimes, parental involvement may be perceived by school staff as overprotection. You are not being overprotective. 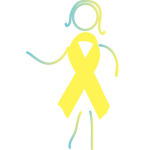 You are simply advocating for your daughter and educating the adults who have the most contact with her during the day about the challenges she faces with endometriosis. Your goal should be to foster a spirit of collaboration between your family and your daughter’s school so that she is able to thrive academically. Keep in mind that it takes time for some accommodations to be made; therefore it’s best to address your daughter’s needs as soon as possible in the school year and update the plan as things change, or at least once a year. What can my daughter and I do to prepare for a meeting with school staff? In preparation for the initial meeting at your daughter’s school, we encourage both you and she to put together packets for the school staff with information about endometriosis. The initial information you provide should be concise and to the point so that the staff can have time to read it and understand the essential facts about endometriosis, such as the guides from youngwomenshealth.org. These guides are intended for educational purposes. You may want to add additional information for the school nurse, such as a list of your daughter’s current medications. Find out what the state regulations are regarding students carrying and/or taking medications during the school day. Other information, such as medical history and names/numbers of health care providers, should be shared only with your daughter’s permission and only if you both feel it’s necessary. What are the goals of the initial school meeting? Your job at the meeting is to advocate for your daughter and establish credibility with the staff. If your daughter doesn’t look ill, teachers may assume she is fine and not understand why provisions are necessary. You’ll need to discuss the symptoms of endometriosis including the sudden onset of pain and the side effects of her treatment. Be clear that symptoms of endometriosis manifest themselves in different ways with each young woman. Response to treatment is also variable. A plan to address missed schoolwork should be established in the event your daughter is absent from school due to her endometriosis. It is often helpful for your daughter to have a “point person” in each class who will automatically contact her with homework assignments if she misses class. Both you and your daughter should keep in mind that every student must complete a certain amount of school work. Every effort should be made so that she doesn’t fall behind. Since teens with endometriosis often experience times of pain and fatigue, keeping up with school work can be challenging and requires good communication and cooperation from everyone involved. Plan a follow–up meeting mid–fall or after the first report card. At this time both you and the school will have a good idea how well your daughter is doing academically and if there are any areas in which she needs help. The number of her absences will also be recorded, as well as “late days”. If necessary, a home tutor can be discussed. Your daughter should be encouraged to share her perception of the school year thus far: what has worked, what has not been helpful, and any other input. It’s important that she feels empowered to advocate for herself. She may feel more comfortable writing down her concerns and sharing them with both you and her teachers on paper; regardless, her input is essential. Check in with the team again at the end of the school year. Discuss your daughter’s school year and consider her grades, school absences, visits to the nurse’s office for pain management concerns and any other issues that have come up throughout the school year. This is also a good time to reflect on the successes and put a preliminary plan in place for next year with any anticipated modifications. If your daughter has an IEP (Individual Education Plan) or a 504 plan, you both may want to consider including input from representatives of these plans. Below are some examples of school interventions contributed by mothers of teens with endometriosis. Remember that the best advocacy you can provide for your daughter is based on her needs, so use the following information only as a guideline. Assignments could be modified during periods of frequent absences. A folder with her homework assignments could be kept in the office so a parent could pick it up at the end of a school day. Time could be extended for class work and make–up work. Extra time could be given to get to class. The distance between classes may be a factor. Assignments could be given out the day before her medical appointments so that she can complete the work ahead of time. Your daughter’s school schedule could be adjusted to give her study or rest periods during the day and still meet academic requirements. Homeroom could be reassigned so that it is closer to her classes and her locker. Keeping an extra set of books at home will reduce her daily backpack load. A home tutor could help her keep up with missed work so that she is not overwhelmed when she returns to school. Some schools have peer tutors, such as National Merit Scholars, who can be very helpful in “keeping up”. Your daughter should have unlimited access to the nurses office. Teachers should be sensitive to any complaint and have her go to the nurse office for a consultation. An Individual Education Plan (IEP) could be implemented according to federal/state regulations. The Individuals with Disabilities Education Act (1975) mandates that anyone who is physically challenged be given an appropriate public education under the least restrictive circumstances. This is a federal law that provides for accommodations. If your daughter qualifies for a 504 plan it is important to have this in place BEFORE she goes to college, as these accommodations will extend into her college years. You can get information about the requirements from the school’s Special Education department. Good communication and frequent updates between you, your daughter, and the school system is essential to ensure your daughter’s academic success. What should I do if my daughter refuses to go to school (on any given day or several days in a row)? Despite the best laid plans, there are going to be some days when your daughter feels that she is unable to go to school due to pelvic pain, fatigue, or both and you are questioning her decision. There are several things you can do to both anticipate days like this and deal with them as they come up. It is essential to determine beforehand, when your daughter is feeling comfortable and calm, the criteria for staying home. Have a conversation with your daughter about both tolerable and intolerable levels of pain. Discuss what things she can do to manage the pain in school and remind her of her support system. If you both operate on the assumption that she must go to school every day, even for part of the day, it will be easier to make an infrequent adjustment. Make sure she is getting up early enough every day to get ready for school, have breakfast and take her medication before she decides that her pain is intolerable. Sometimes it is useful to discuss the academic consequences of missing a given day (for example: having to reschedule a test, missing a deadline, creating an overflow of homework) and a compromise can be reached. Ultimately, you, she and the school need to develop a balance between responding to both her academic responsibilities and her endometriosis. Is it normal to feel overwhelmed sometimes? Yes! Having a teen with a chronic illness can be exhausting even if you have total cooperation with school staff, family, friends, and your daughter! Take care of yourself first. The more calm perspective you have on the situation, the better for everyone. Take walks or exercise to clear your mind. Listen to relaxation material and/or take a yoga class. Use a journal to record your thoughts and feelings. Talk with other parents of daughters with endometriosis. Spend time with your daughter that is NOT focused on endometriosis.